Explore the sections of archived summary data from previous website updates below. The Chesapeake region includes the Ahoskie, Northampton, and Southampton mills. The Wilmington region includes the Sampson and Greenwood mills. The Wilmington region includes the Sampson mill. The Southeast region includes the Amory and Cottondale mills. The Wilmington region includes the Sampson mill, Enviva’s newest facility which began operations in October 2016. The feedstock origin proportions in this table represent wood purchases made from October 2016 – March 2017 during the mill’s inventory ramp up period. 4Enviva idled the Wiggins plant in early 2017. 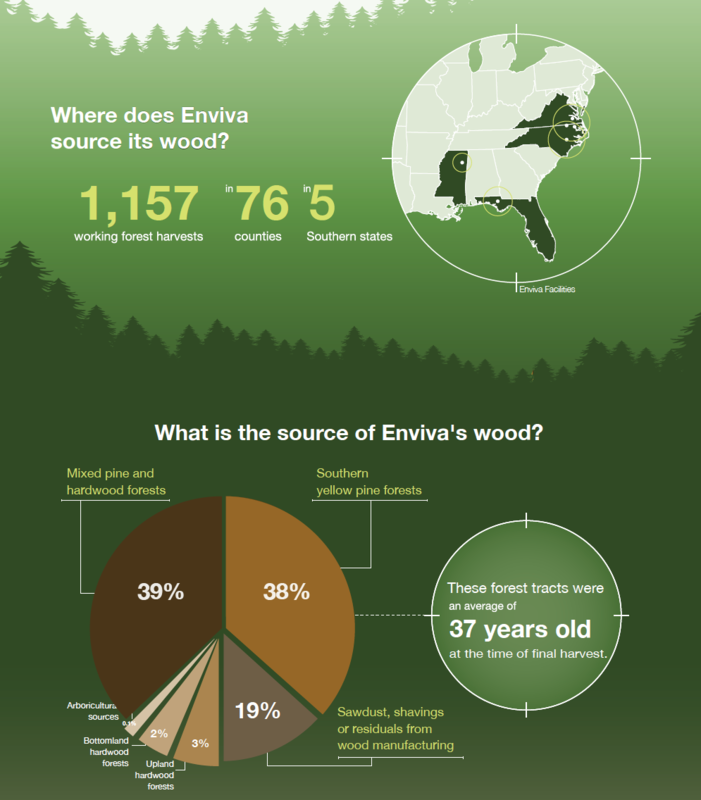 Therefore, the facility’s wood sourcing data are not included in this summary. This does not have a significant effect on these summary statistics. When Wiggins data are included, regional feedstock origin breakdowns are as follows: 20% mixed pine & hardwood; 37% southern yellow pine; 42% mill & industry residues; < 1% upland hardwood; and < 1% landscaping & arboricultural activities. The Wilmington region includes the Sampson mill, Enviva’s newest facility which began operations in October 2016. The feedstock origin proportions in this table represent wood purchases made from July- December 2016 during the mill’s inventory ramp up period. 3 Enviva idled the Wiggins plant in early 2017. 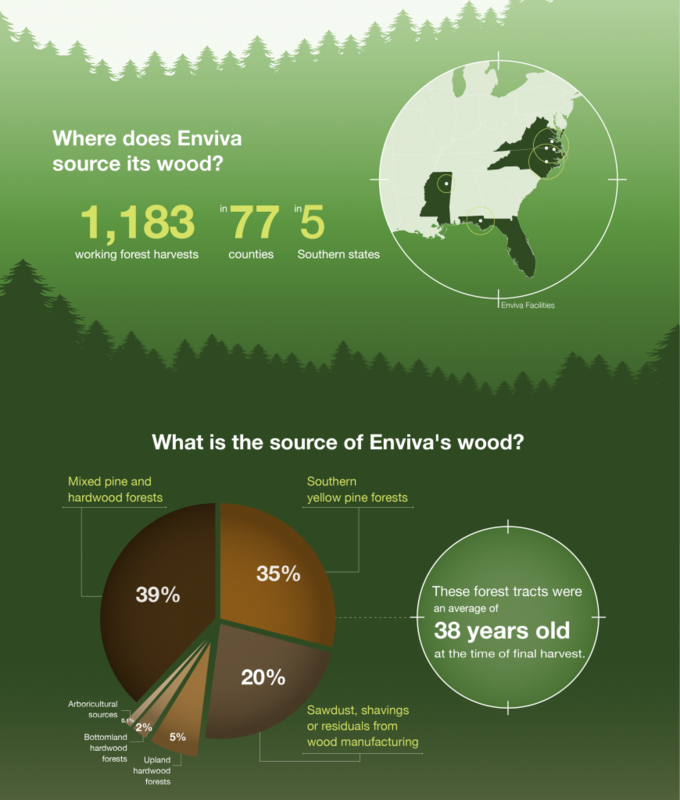 Therefore, the facility’s wood sourcing data are not included in this summary. This does not have a significant effect on these summary statistics. 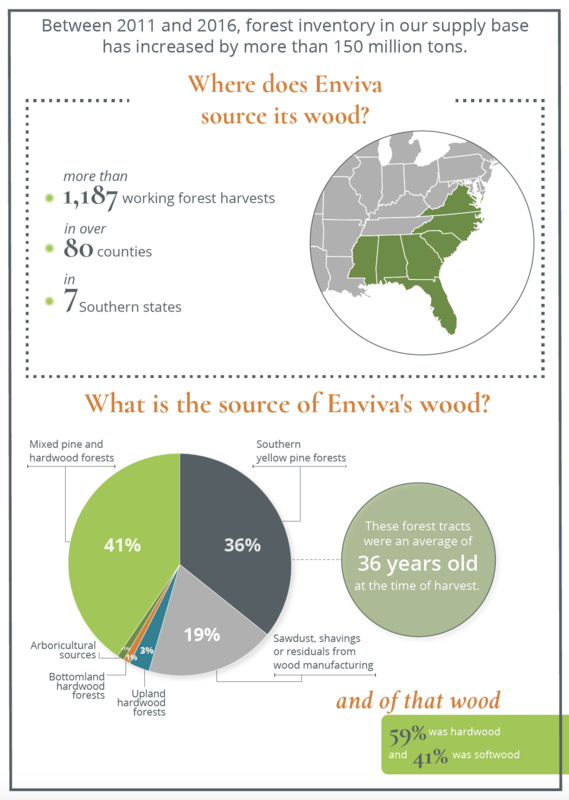 When Wiggins data are included, Southeast regional feedstock origin breakdowns are as follows: 19% mixed pine & hardwood; 30% southern yellow pine; 43% mill & industry residues; and 8% upland hardwood. The Wilmington region includes the Sampson mill, Enviva’s newest facility which began operations in October 2016. The feedstock origin proportions in this table represent wood purchases made from June- September 2016 during the mill’s inventory ramp up period. 2Enviva idled the Wiggins plant in early 2017. Therefore, the facility’s wood sourcing data are not included in this summary. This does not have a significant effect on these summary statistics. When Wiggins data are included, regional feedstock origin breakdowns are as follows: 18% mixed pine & hardwood; 22% southern yellow pine; 41% mill & industry residues; and 6% upland hardwood. 1Enviva idled the Wiggins plant in early 2017. Therefore, the facility’s wood sourcing data are not included in this summary. This does not have a significant effect on these summary statistics. 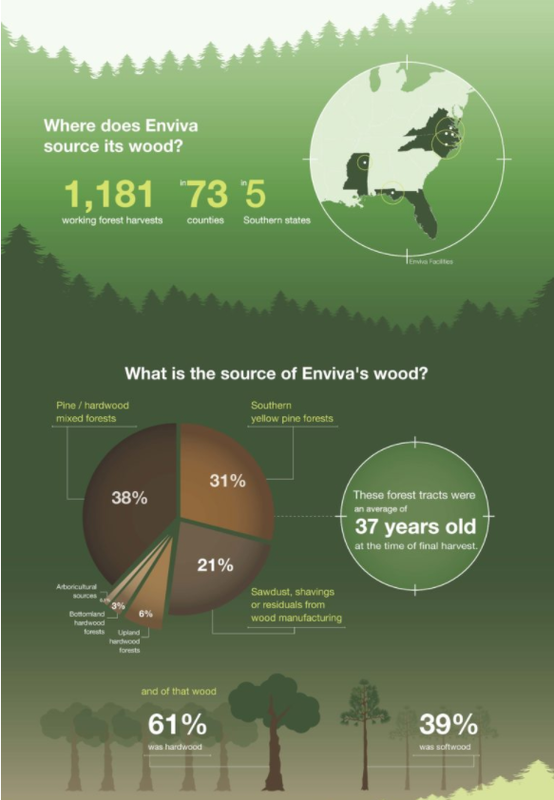 When Wiggins data are included, regional feedstock origin breakdowns are as follows: 20% mixed pine & hardwood; 37% southern yellow pine; 42% mill & industry residues; < 1% upland hardwood; and < 1% landscaping & arboricultural activities.